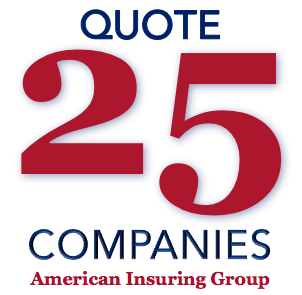 At American Insuring Group, Ltd., we offer cost-effective worker's compensation insurance from a great variety of competing insurance companies. 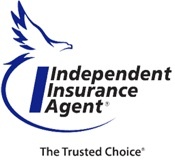 We'll work hard to get you the best price on quality insurance to protect your employees and your business. And What Does it Cover? Worker’s Compensation Insurance is a type of small business insurance that is mandatory in most states, and covers employees for work-related injuries. A typical "workers comp" insurance policy pays lost wages and medical expenses incurred due to a work-related accident, while also protecting the employer against accident-related lawsuits. See list below. Most states require an employer to carry worker's compensation insurance for all employees, both full-time and part-time. 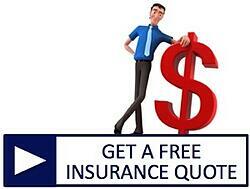 This is a type of insurance for which many insurance companies compete. The insurance market for worker's compensation insurance is very competitive and insurance companies will often offer discounts to attract new customers. For larger businesses, typically paying over $5,000 annually, an experience modification factor is applied to the policy that reflects the claims experience of the company. The lower the claims paid out by the insurance company, the lower the experience modification factor, which in turn lowers the overall annual premium. 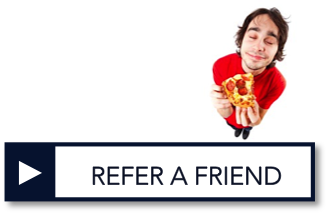 Some worker's compensation insurance companies offer a dividend plan that pays the small business insurance owner back a dividend if the company's claim experience is favorable. The opioid overdose epidemic is having an adverse impact on workers compensation insurance costs. 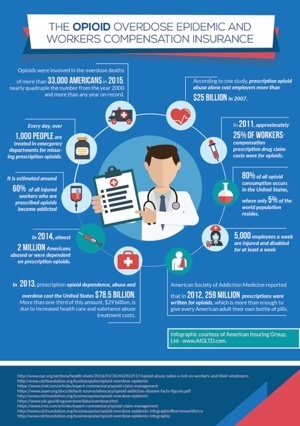 According to one study, prescription opioid abuse cost employers over $25 billion in 2007. Another study has concluded that 60% of all injured workers who are prescribed opiods become addicted. Medical costs in general continue to rise not only due to inflation, but also because new technologies and new drugs are constantly being created and made available to hospitals and physicians to treat injuries. These advances can be quite costly, especially in the early stages while patents are in effect. It is not uncommon for a hospital to charge $1,000 for an emergency room visit, or $5,000 per day for an admitted patient. Surgery, if required, will drive costs much higher. Due to the capability for medical costs to quickly grow beyond the employer's financial resources, having adequate worker's compensation insurance is a must for every employer. Some employers may be tempted to classify workers as independent contractors instead of employees in order to save on worker's compensation costs, but this is a dangerous gamble that risks incurring huge penalties. Self-employed individuals are usually exempt from carrying worker's compensation insurance unless they own a corporation. A corporation is a separate entity from an individual; therefore, WC insurance is required unless the owner is the only employee. If there are no employees except the owner of a corporation, the owner/president may elect to opt out such insurance by filing an "executive officer exclusion" form with the state. Worker's compensation insurance also includes Employer’s Liability Insurance, which covers an employer against lawsuits from employees due to negligence. An example of an insurance claim covered under employer’s liability insurance would be if an employee accidently cuts off his finger. The employee would be entitled to workers compensation insurance coverage for all medical expenses and lost wages. If the employee decides the employer was negligent for not fixing the slicing machine that he was using, and sues the employer for his loss of his finger, employer’s liability insurance would protect the employer. Employers liability insurance coverage is usually written with separate limits for one employee injury, for total employee injuries, and for a total employee disease amount. Trust American Insuring Group to provide the best value in affordable and reliable worker's compensation and employer's liability insurance. Our independence and high standards are two reasons why A.I.G. 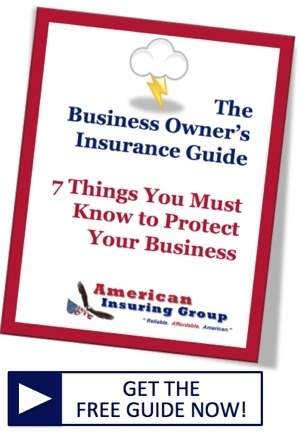 provides the best insurance rates combined with high-quality insurance protection for your business. 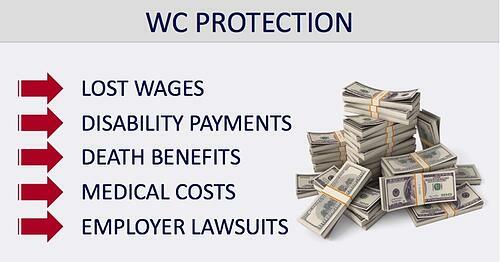 Call Us To Save on Worker's Compensation Insurance!